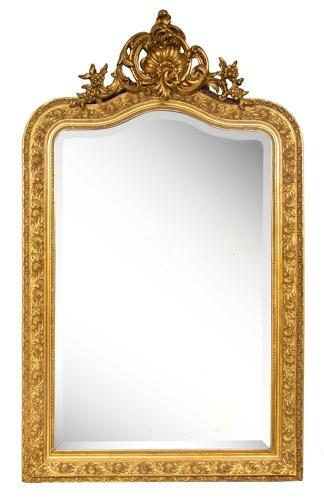 A French crested antique gilded mirror with original bevelled glass and gilding. The glass does have lots of very small spots of foxing ,similar to ballpoint pen spots on it ,however it is fine to view ones self in it and does not need to be replaced. We can supply more photos ,but we have taken honest photographs to show any/all defects.The mirror looks great insitu.